Perforated 14, no watermark, typography. 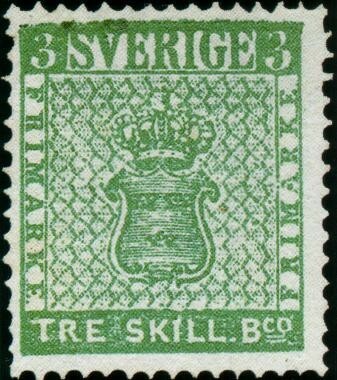 † The initial Scott  listing covers only the 1855 issues but Gibbons  extends this to the period 1855-58, resulting in numerous colour variants not shown above. The early printings of the 4 skilling are on thin paper, the later printings are on medium thickness paper. 8 plates were used for the 4 skilling printings, delivered on 16 different dates, the earliest being June 12, 1855. The 3 skilling banco exist as a unique yellow error. 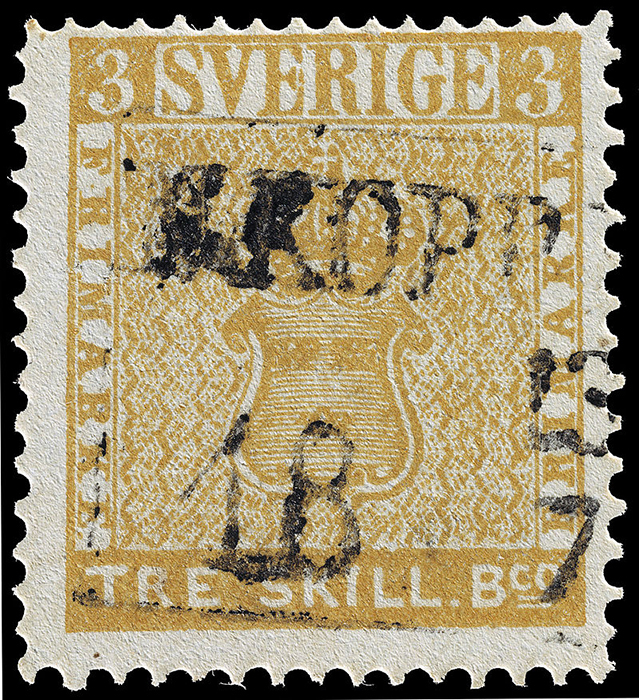 According to Mackay , it was found in 1855 by a schoolboy, George Wilhelm Backman and sold to a local stamp dealer for 7 kronor; sold in 1937 to King Carol of Romania for £5,000 (then $10,200); and was "thought to have been sold in 1950 for $55,080". Wikipedia  takes up the story: it sold for 977,500 Swiss Francs in 1984, for more than $1M in 1990 and for 2,880,000 SFr in 1996. 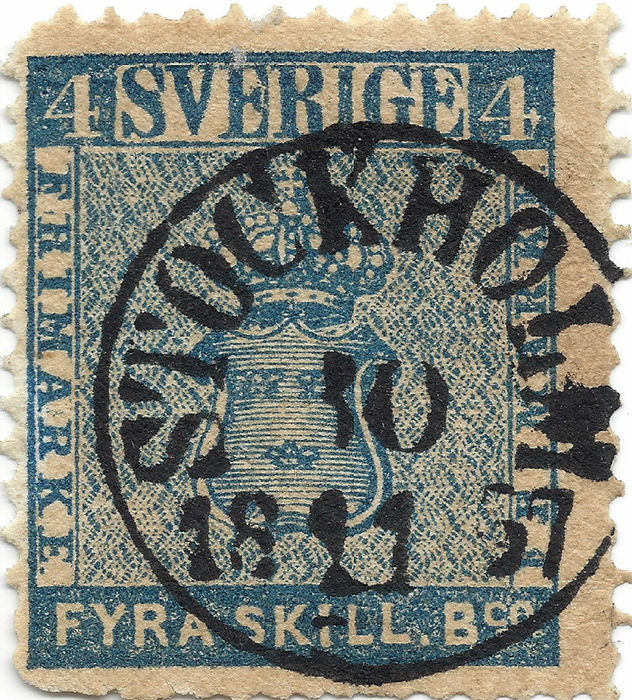 It was sold again for "at least the 1996 price" in 2010 and again in 2013 by private sale to Count Gustaf Douglas, a Swedish nobleman and politician. Sources: ScS , SGP11 , JM1 , Wikipedia .